Online classes have the additional benefit of increasing parental involvement in their teen's learning process, which has been shown to be an important factor in teen safety. Experts will tell you that the biggest advantage of teen online driver education is that you, as parents, can be involved and see what your teen is learning. MyCaliforniaPermit.com has enrolled and passed over 50,000 students throughout California. We offer this important education today while your student's local high school may make them wait or not offer it at all. Your teen can begin studying immediately! You will enjoy that this is a Go-at-your-own-Pace program with No Timers and No Classrooms. DMV practice tests can be accessed here from our PERMIT page. How do I choose a Driving School? Teens - After you get your permit you will need to get behind the wheel with a good local instructor. California is a BIG state! So how do you pick one? 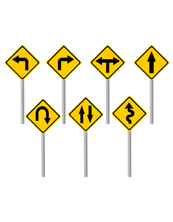 The DMV recommends the following when selecting a Driving Instructor for your new teen driver. On the DMV website check the driving school's license status on the Occupational License Status Information System database and the instructor's license status by calling DMV at (916) 229-3127. Contact your local Better Business Bureau, this is a verified source of information for customer complaints. Compare tuition costs and ask if there are any additional fees or charges and always have a clear understanding of all expenses. Make and keep copies of all receipts, contracts, and other documents. Behind-the-wheel training usually occurs when their office is closed (evenings and weekends), so ask for a telephone number that can be used in case of an emergency. If your teenager's instructor is not satisfactory to your expectations, ask that another instructor train your child and ask about the school's policy for canceling or rescheduling a behind-the-wheel training session, there are usually fees involved and no one likes surprises. *Check with your California insurance agent for eligibility details. 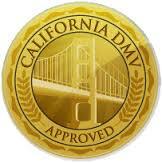 Every licensed California Driver must have auto insurance to drive a vehicle in California. Proof of insurance must be provided to the California DMV when you obtain your drivers license (not your learners permit).